Athentech Imaging makes retouching software for Adobe Lightroom and Photoshop. Over the past 12 years, their Perfectly Clear plug-in has become one of the most advanced and easiest to use skin- and eye retouching software suites on the market. I’ve been using Perfectly Clear since 2014 and have found it one of the most realistic portrait retouch plug-ins currently available. Besides updating their algorithms and user interface in the last year, Athentech has also released separate plug-ins for eye and skin retouching. These two modules are also available in the new Perfectly Clear bundle and are called Perfect Skin and Perfect Eyes. You can now get them for a discount of $99 until July 15th, scroll down to the bottom of this page for a link to take you to their website. Update: If you want the latest promo codes and check what is new in version 3,5 read my review here. 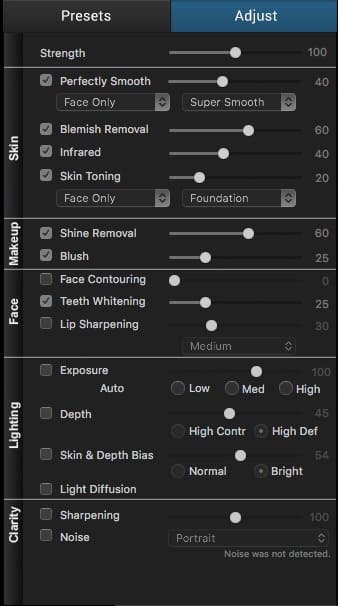 From either Lightroom or Photoshop, you can access Perfect Skin from the plug-in tab. 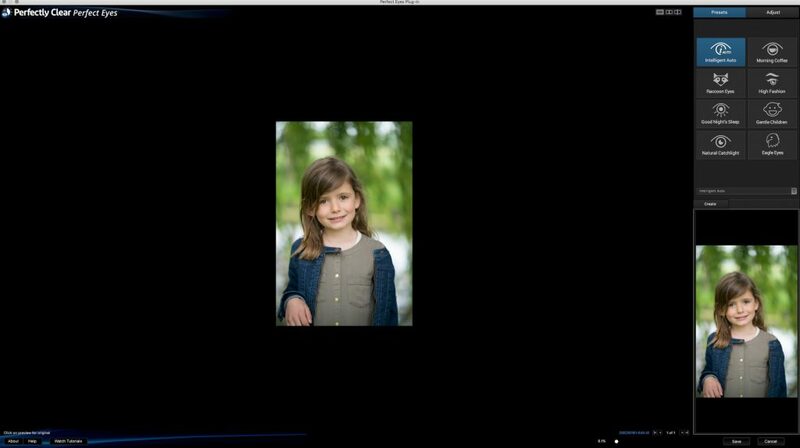 I would advise you to start from a RAW file and not to use JPEG images, as the results with the former will be superior. Once a TIFF copy of your original file has been made, Perfect Skin will open in a new window. 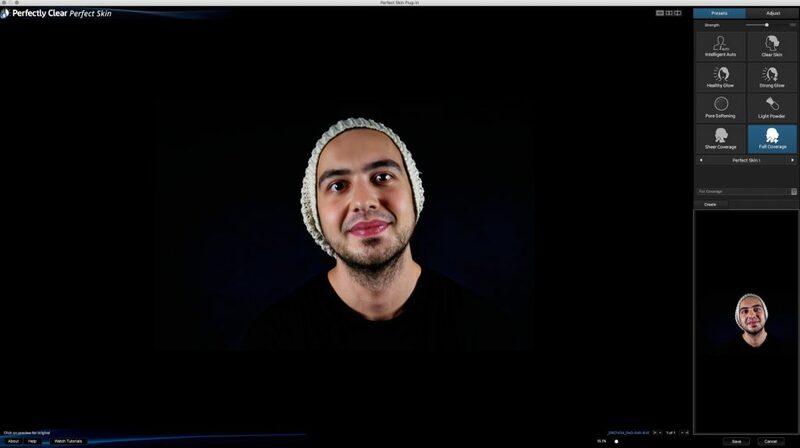 On the left side of your screen, you’ll see a preview of your image with the Perfect Skin corrections applied. On the right hand, you’ll find a Preset and Adjust tab. 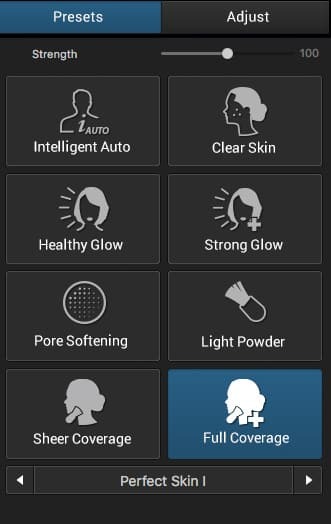 Perfect Skin has a total of 16 presets. They are a great starting point for your portrait retouching needs and will often get you where you want to go without much tweaking. If you would like to know what the presets do and how they differ from each other, you can check the following examples. Adds a gentle enhancement to all types of faces. Perfect mix for most skin types and group portraits. Reduces the appearance of acne and blemishes while still leaving skin pores visible. Use te strength slider in the Adjust panel to make the effect more or less conspicuous. Reduces blemishes and shine while adding depth, detail, and color. Great preset for refining portraits, while also tweaking the lighting of your images. Reduces the intensity of pores to produce ultra-smooth skin. Be sure to use the strength slider or individual controls to refine the effect. Gently reduces blemishes and shine for all skin types. Stronger settings when sheer coverage is not enough. Adds details brightens teeth and reduces blemishes and shine. Ideal for portraits shot under reduced lighting or in a studio setting. Reduces blemishes, shine and also gently softens the light by diffusion. Ideal for younger skin shot under natural light. Showcases enhancements preferred by fashion photographers. Face slimming, blemish and shine reduction. Gentle light diffusion and adds depth to images. Uses the beauty corrections with higher values to make significant adjustments to skin and features. Use the adjustment and strength sliders to refine the amount of retouching. Adjusts skin so it looks smooth and flawless. Removes blemishes and shine, brightens the smile and adds color and depth. Ideal for hiding the signs of aging. Brings essential details to male faces by applying moderate improvements. This preset also sharpens detailed information in the eyebrows and beards to make hair look thicker and rugged. The second Tab on the right hand of the screen allows you to access all the individual enhancements and tweak them to your liking. I mainly choose an appropriate preset and start from there, but you can of course also start from scratch here and even make your own presets. The Strenght slider allows you to adjust the overall amount of retouching applied to your image. The slider goes from zero to 100, and it’s always a good idea to lower this slider slightly to get a natural looking final image. This preset Smooths skin without losing important features or detail. You can either select to apply this smoothing to only the face or skin on the full body. You have three degrees of smoothing ranging from Subtle to Super Smooth. I mostly leave this on the Default value, but skin and blemishes do differ from person to person, so it is at times useful to switch values to get the most natural result. Blemish removal automatically finds facial blemishes and removes them without losing any important detail. The slider goes from zero (no effect) to 100 (full stain removal). Removes excess red from faces due to your camera sensor picking up infrared head from your subject and adding it to the red channel. Skin Toning adds a warming or cooling filter to skin tones for a warmer or smoother look. You can choose between warm, cold, pale, white or give your subject a tan or foundation. Finds and removes glare from faces due to studio lighting or camera flashes. Blush adds extra colour to the cheekbones. Face contouring automatically detects faces in your image and slightly slims them. Automatically finds teeth and whitens them from zero to maximum effect. Detects and adds sharpness to the lip area. Fine, medium and coarse options available. Increasing the shadows of a picture helps reveal the textures and shapes in a scene. This helps provide visual clues of the 3D world in a 2D scene. This algorithm optimizes contrast in each pixel, choosing the right amount of shadow to provide those 3D clues without any loss of detail in the shadows for an eye-pleasing image with lots of punch. You can steer the algorithm toward a more contrasty image or high definition by selecting one of the two options. 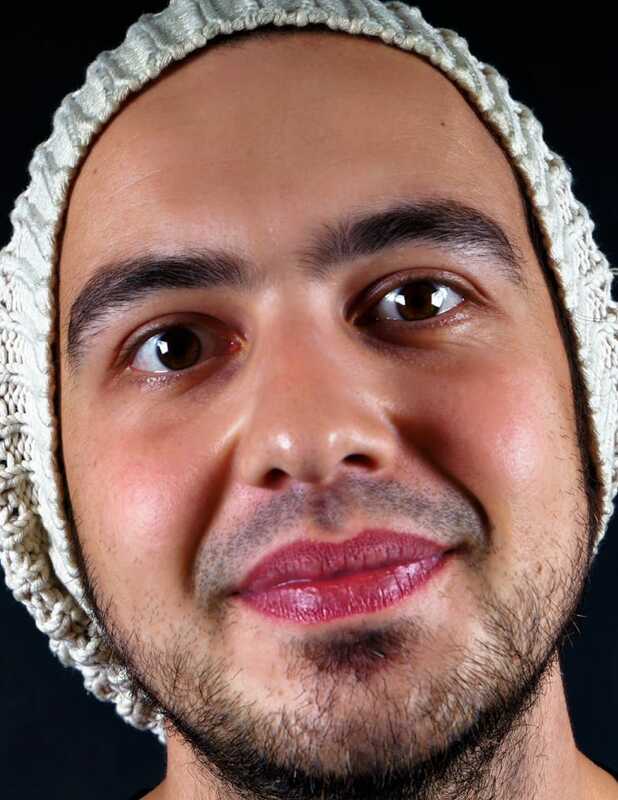 Gives a photo more depth and whiter skin tones. Use normal or bright depending on the brightness of your image. This preset creates a softer, slightly warmer overall appearance in portraits. 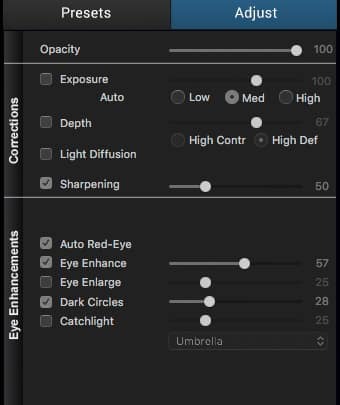 If you’d like to add some sharpening to your final image, Athentech provides their proprietary artefact-free sharpening algorithm. If you found that your image has become too noisy, you can reduce color and luminance noise. Select one of the appropriate presets like Portrait, Night Scene or Camera Phone. The plug-in will also tell you if any noise is detected. Athentech Perfect Eyes plug-in focusses mainly on eye enhancement. Eye sharpening, reducing red-eye, removing dark circles and eye enlargement are all available. You have eight presets to choose from as a starting point. You can check what each preset does by looking over the examples below. If you want to edit this further, or start from scratch, go to the second panel on the right called adjustments. Intelligent Auto analyzes the image and achieves an overall balanced adjustment to the eyes. This preset is ideal for making a natural looking enhancement. Enhances the eyes and creates a small enlargement to add a sense of alertness. Also sharpens the Eyes and removes dark circles below. Removes dark circles under the eyes, adds general enhancements with slight sharpening. Strongly enhances the eyes and gives a gentle nudge in exposure. Ideal for fashion like images that require a dramatic lift in the eyes. Removes dark circles and slightly sharpens the eyes, a gentle approach to enhancing. Removes dark circles and slightly sharpens the eyes while slightly enlarging them to counter any squinting during the shot. Applies a soft natural light by diffusion. This preset also applies general standard enhancements and adds a catchlight. Explore controls to adjust to your specific image. Removes dark circles and applies strong sharpening. Great for older and male eyes. You’ll find all the possible adjustments in the Perfect Eyes Adjust Tab. It’s always easiest to start from a preset for an overall look and make a few changes later to get an as realistic as possible final image. 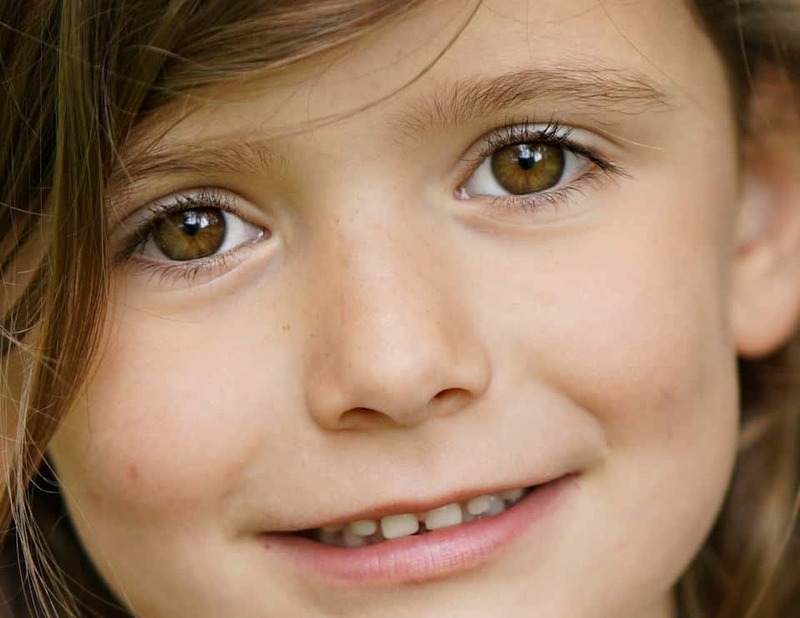 This slider creates a softer, slightly warmer overall appearance in portraits. Automatically remove red-eye problem if the software can detect them. Works on different faces in group shots too. Automatically detects and enhances eyes to bring out more detail and color. Makes eyes larger to counter the effects of squinting in bright light. Detects and removes dark circles and shadows from under the eyes. Adds a catchlight or reflected image of a light source in pupils. Although there are a few other, more invasive ways of retouching portraits in Photoshop and through other plug-ins like Portrait Pro, Perfectly Clear is one of the easiest and fastest ways of achieving a great result. Both Perfect Skin and Perfect Eyes are combined in the full Perfectly clear plug-in, but I do find it useful to have them separately available in case you don’t need one or the other. What I like most about the Athentech technology for retouching portraits is the fact that their presets are all very useable and that their automatic detection of eyes and faces is by far the best out there. It’s also easy to still make people look realistic in portraits, something that can not be said of all portrait-enhancing software. These discounts are valid until the end of July!